Do all garments you sew fit perfectly, readers? Pockets are where you wanted them to be, the neckline is not gapping and is high enough, and there is no ugly pulling on the back of your pants? I have to confess, my early sewing attempts had a rather low success rate. Whatever didn’t end up in a UFO bin, was worn once at most. This is when I started this self-imposed couture challenge – I really wanted to wear every project I cut, with dresses that fit, trousers that don’t pull, and jackets that have flattering proportions for my figure. Have I achieved it? Yes! 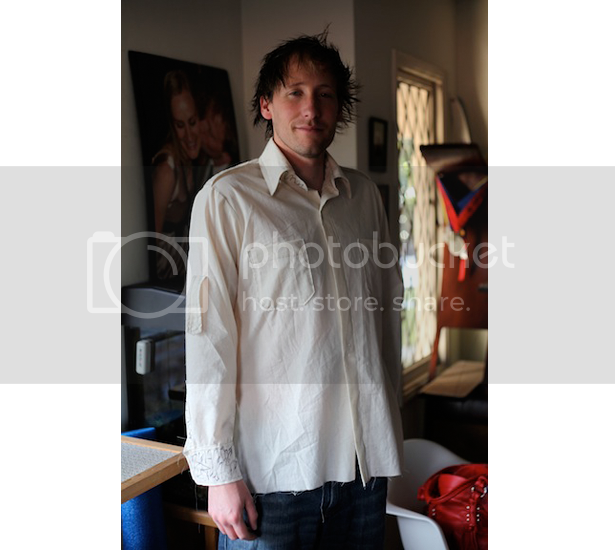 With the help of a toile [twal], or trial garment. Why bother making a toile? This toile made for Susan Khalje’s Little Black Dress Class showed several fitting problems. Photo courtesy of Frabjous Couture. Believe me, once you have made your first muslin and got the garment you wanted, you will never look back! What fabric to use for a toile? A toile is usually made from an inexpensive unbleached plain-weave cotton fabric. It is easily available in many stores in the US, but if you have difficulties finding it elsewhere, it can be substituted with old sheets, or plain-weave firmly woven cotton. Just make sure the fabric is on grain, so there won’t be any distortion when you cut the pattern. Also, choose the correct weight – your toile fabric should behave and drape like your fashion fabric. A fashion designer and blogger Magda of MagdaMagda Design Studio suggests using light colors because they are easy to work with. “Also, using a shade close to the one your final garment can be is useful in predicting the visual effect,” she said. Do I need to make a toile every time I make a new garment? These are just a few suggestions and, in fact, there are some situations when you don’t need to make a full muslin. Think of a dress with a fitted bodice and a full skirt. If you are under tight deadline, you could make a partial toile for the bodice only. Or, you want to create a different collar for a blouse – attach a muslin mock up to the bodice. Making a toile is for advanced seamstresses. – False! The initial muslin draft. Amy ended up adding a square-shoulder adjustment, narrowing the side seams, and adding a lot of length in the final shirt. Image courtesy of MBP-Amy. One final word about a toile. A well-fitted toile is invaluable! You can re-use them, adding or removing design elements, making a few subtle changes in case you gained or lost weight. -My Chanel-inspired jacket toile is now going to be used to cut a red felt coat. My final tip is to label the toile with a permanent marker directly on the fabric. Write your name (if you are not the only one who you sew for), date, pattern name and size, add the name of the pattern piece and store it in a clear plastic bag. Have you had experience working with a toile? What styles do you reuse more often? Marina von Koenig blogs at Frabjous Couture, documenting the process of learning couture sewing techniques. Visit her blog for a step-by-step tutorial for making a toile. What a wonderful article! I am a beginner and I was just thinking that, to make my garments fit me better, it would probably be wise to start making them in muslin first. Your article convinced me, thanks a lot! I am happy I converted you! :-) If I may suggest, start making toile for a straight, or A-line skirt, It is easy to fit and you can reuse the skirt toile many times, adding pockets, or yokes, changing vent types and so on. You could also always use the fitted skirt toile on a new dress pattern instead of the new pattern part. You will just need to fit the bodice…. I used to do muslins, and I agree that it does make a world of difference. But I would get so burnt out making the muslin and adjusting it that I’d run out of patience to sit down and make the real thing. I’d say, unless sewing replicate copies of one garment, pass on the toile. Thank you for this post. 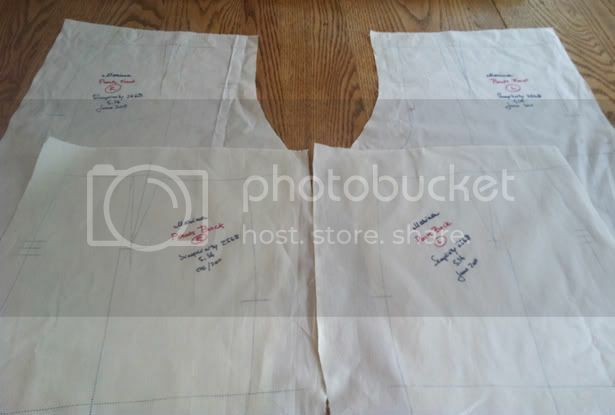 To be honest, I am a very standard size 10, so only bother making a toile if I am cutting expensive fabric, or making a very form-fitting garment. My waist is disproportionately small, but I love wearing belts to cinch in any extra fabric… lazy! Hi Marina, what a great post! It was a wonderful surprise to see some of my quotes, and I got such a happy shock at seeing my husband’s face. Thank you so much for putting in the time and effort to help us all become better seamsters. I really enjoy this column, and I love your blog. Keep up the excellent work! I used to think creating a muslin first would take twice as long. Then after giving it a try I realized that it actually saves me a lot of extra work (and headaches) when it comes time to take it to the “real” fabric. Now I almost never venture into a new project without creating the muslin first. Help!! Creating a muslin is great for woven fabrics but I struggle a lot with jersey/stretch knits – I love them but I struggle with them all the time and I have several projects I had to scrap because I couldn’t get the fit right. Does anyone have any suggestions on the best way to create a toile for knits? 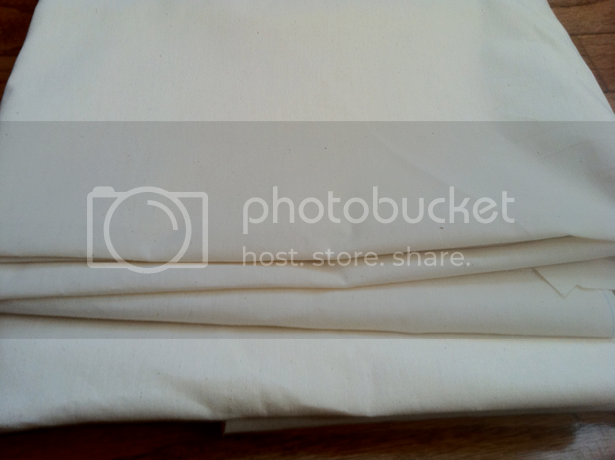 Is there an inexpensive muslin-type fabric I can use? I had this issue too, ust buy a cheap stretch fabric and do a practice run. I almost always make a toile, especially if I’m making the garment for someone else. It saves costly errors. I often write directly onto the toile when I’m doing a fitting- notes of things I need to change, and then use the toile as my pattern piece. It also makes sewing up the final garment alot quicker- it can be done in one sitting, instead of stopping and starting to check fit. Cuada, isn’t it great to be able to focus on sewing exclusively? I find sewing results are better if I am not distracted with fitting etc – and the finishing is always better, somehow. I occasionally make toiles but usually only with patterns I make for others.it’s very helpful. For myself I often make wider seam allowances to my fashion fabric and pin it to my form I have padded to fit me.but if the neck is too big that can be a problem.I will be makin toils more often for sure. Too many scrapped projects! I just ordered some tracing paper fabric combo that you can use to trace your pattern but also sew up . Sort of like interfacing. Oh, I saw something like that back in Europe. Do you have a link to see how it looks like? I found something similar at Joann Fabrics…it’s for tracing patterns. Thank you for this blog post and the detailed steps on your own blog Marina! I now feel ready to finally start my Chanel jacket toile. Thanks! Does the fabric for your ‘Chanel’ jacket require matching? If so, fit only the jacket bodice and fit the toile sleeves with the bodice in fashion fabric. This is how I learned it. That’s a good tip. Once I have the fashion fabric bodice would I mark on the toile sleeve where they should match the sleeve and then use the sleeve toile to cut the fashion fabric sleeves? exactly, you fit the sleeve and mark matching points, then cut it. You may need minor adjustments once you have it in fashion fabric, but if you work with wool it won’t be problem. Make sure you have up to 2" (5cm) allowance at the sleeve cap, because thick boucle fabric may require slightly higher cap than the one on muslin.